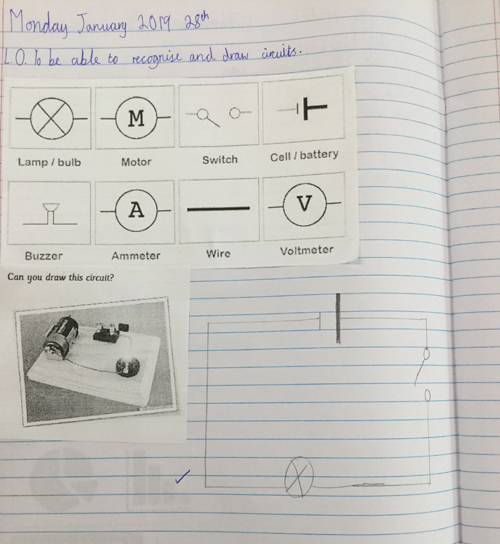 This afternoon, Year 4 Robins looked at circuits. They had a number of symbols that represented things you can put in a circuit. They drew a simple circuit with a bulb and a switch. It was important to know that a circuit needed to flow. They looked at another circuit and discussed the types of energy being made. Light energy, kinetic energy and sound energy. The children saw light bulbs light up, a buzzer buzzing and a motor running.